The question is frequently asked ‘When is the City going to do something for us?” There is no subject before the City Government that demands more attention than this. The focus of this blog is the sewer line and the alley between W Brookline and W Canton Streets. As you may know in Spring 2014 a portion of the sewer line collapsed near the cross alley resulting in sewage seeping into the basement of the church construction project. 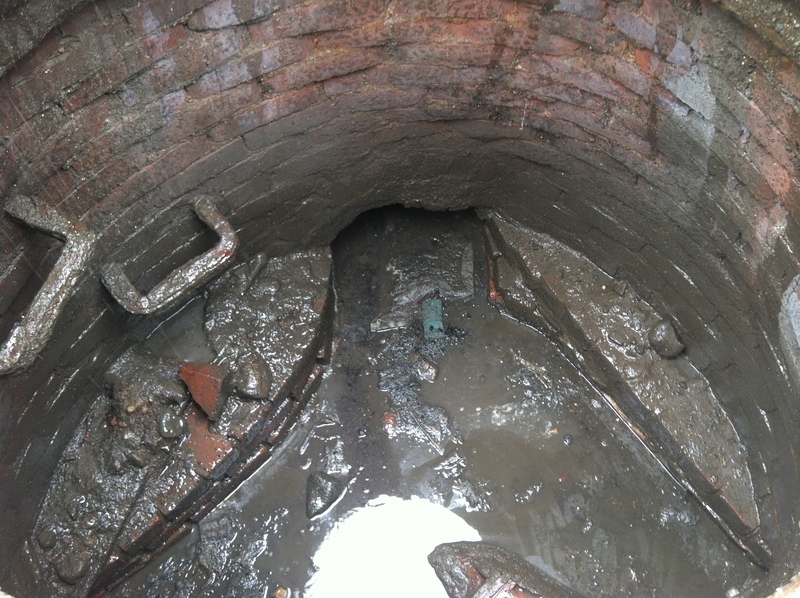 This was repaired by the construction contractor but it did not address the larger issue of the stability of the antique brick sewer in our backyards that was built to the then current standard in the 1860s. As you probably know, it is considered a ‘private’ sewer, meaning that we, the users of the sewer, are, according to the City of Boston, solely responsible for the maintenance of the sewer. The sewer in the alley serves all of the W Brookline buildings except the condos being built in the church. Of those, the five buildings on W Brookline closest to Tremont (and the four buildings closest to Tremont on W Canton) connect to a section of pipe built at an earlier time (1850s) than the rest of the sewer. The City has conceded that that older section of the sewer is owned by Boston Water and Sewer. The sewer runs the length of the alley from near Warren Ave, intersecting with the cross alley and out to the public sewer on W Canton but it naturally flows towards and empties into the public sewer parallel to Tremont. There are 19 buildings (36 housing units) directly connected to the section of sewer built in the 1860s but the stability of the sewer potentially impacts 59 buildings backing on the alley including businesses and multi-unit buildings. see the “latest news” section for further information about the status of this project.